Summer Wildflower Honey – 2 Lb. 10 Oz. 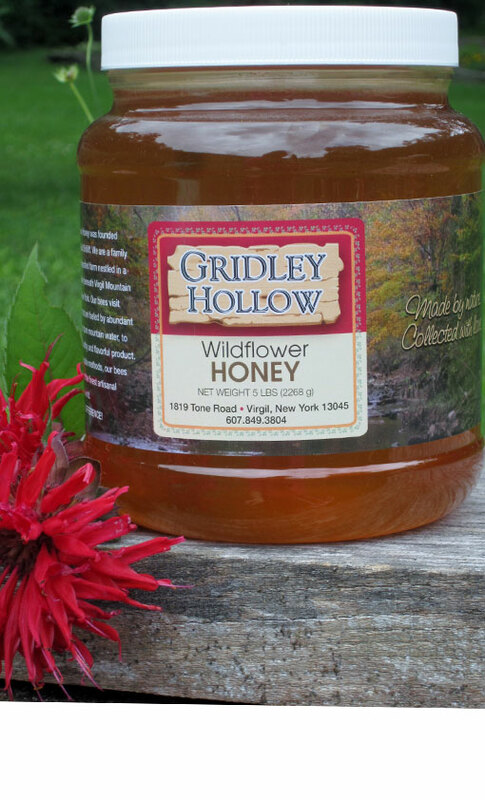 Jar – Gridley Hollow Honey Co.
Summer wildflower honey has some or all of these floral sources in varying proportions, depending on the location of the beeyard (out-apiary): Russian olive, black locust,clover, yellow rocket, apple blossom, blackberry and raspberry, basswood (linden) , birdsfoot trefoil ,clover,milkweed and spotted knapweed. This honey is very mild flavored, not overpowering and great in tea and drizzled over fresh fruits and other foods.